Dreaming of doing a Kitchen renovation in Richmond? Mint Kitchen Renovations Richmond is your locally trusted kitchen renovation specialist. With over 30 years industry experience, this family owned business knows how stressful home renovations can be. So that’s why we always walk you through our step by step concept and design process. Keeping you and your family informed throughout the entire project. So you won't discover any unexpected surprises along the way. As the heart of the home the kitchen can be the place your family spends the most time. 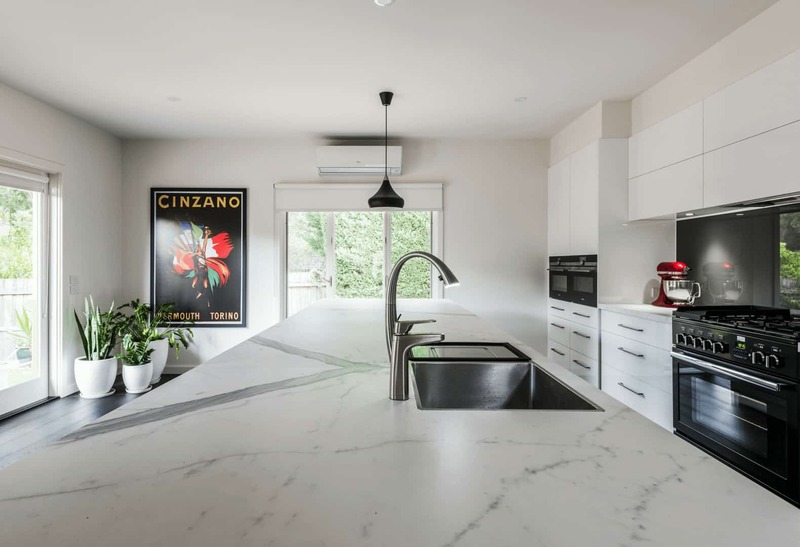 Ensuring that this space is warm inviting, stylish and functional is important to you and your family and to Mint Kitchen Renovations Richmond. We create a design and layout to suit your families needs. We also give you the best advice on a range of products appliance and details. Our highly skilled and knowledgeable team can offer a range styling options to ensure we understand your brief. As we understand knowing your vision is an important step in creating the perfect result for your dream kitchen. Mint Kitchen renovations Richmond is passionate about giving our customers a high quality functional kitchen renovation. Our business is knowing your needs and creating a space for your family to enjoy and use everyday. From your busy lifestyle needs to a beautiful space to entertain, we consider all of your requests and combine these to give you a space you love. Or if you are considering bathroom renovations in Richmond we can also help you with that. Functional and a thoughtful layout is always top of mind when it comes to bathrooms. But we understand having a beautifully designed bathroom is also important. Our team offers range of options to transform your bathroom into a beautiful luxurious space combining style and practical design. Finding your ideal bathroom renovation in Richmond is easy with Mint Kitchen Renovations. Our Richmond kitchen showroom is on Bridge Road near the corner of Coppin Street. The Spread Eagle Hotel is just a few doors down and and diagonally opposite is Reece Plumbing Richmond and Harvey Norman Richmond. We’re lucky to be near some well-known Richmond cafes too including Touchwood, Reunion and Co and Three One 2 One. The best place to park is right in front of our store on Bridge Rd where there is 2 hour paid parking. If you’re coming by public transport, trams run right in front of our store and Richmond and Burnley train stations are about a 5 minute walk away. If you’re looking for kitchen renovations in Melbourne, come and visit our kitchen displays! We have expert advice on hand and our exciting new showroom will showcase the latest in kitchen design. Copyright ©2018 Mint Kitchen Group. All Rights Reserved.